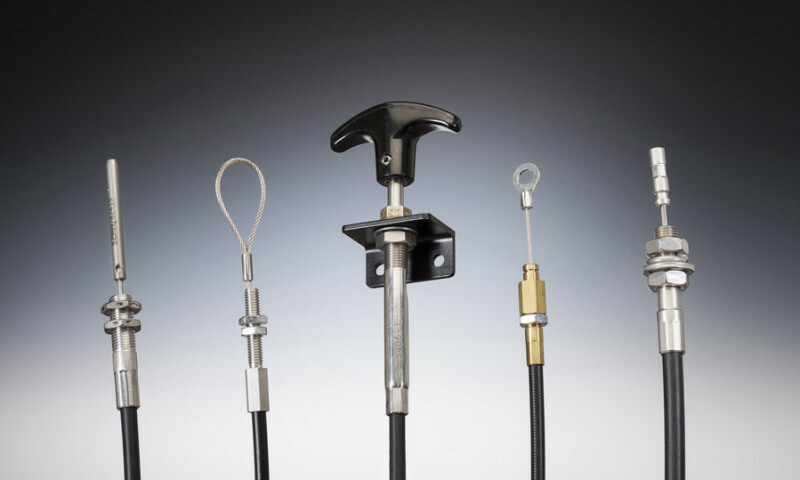 Wire Rope Cable Assemblies – Tyler Madison, Inc. While the terms wire rope and cable are often used interchangeably, cables are typically designated as smaller diameter wire ropes, specifically wire ropes with a diameter less than 3/8 inch. 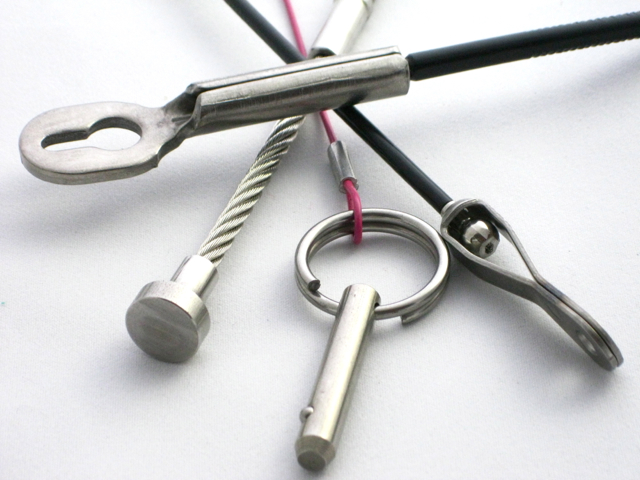 Therefore, wire rope cable assemblies are typically utilized for lighter duty applications. While cable assemblies may not offer the same brute strength as heavy duty wire ropes, they are utilized in a very diverse range of industries. The aerospace, automotive, electronic, agriculture, medical, security, and many other industries make extensive use of wire rope cable assemblies in a multitude of applications. This diversity is achieved through the great depth of features and customization available to manufacturers. One of the most important and defining features of any cable assembly is its basic construction. Cable assemblies are manufactured by twisting or bonding small wires into bundles and twisting or bonding these bundles into a larger cable. A very common cable construction is comprised of seven bundles of nineteen wires, called 7×19. Cables also come in 1×19, 7×7, 6×19, 6×25, 8×19, 8×25, and many other construction configurations. The type of construction used has the largest effect on the strength of the cable. Wire rope cable assemblies can be designed with breaking strengths greater than 14,000 pounds. Depending on the requirements of a given application, cables can be further customized based on flexibility, environmental factors, functionality, and cost. Larger diameter cables are generally less flexible than smaller diameter cables, so this is another important factor to consider when deciding on the construction of the cable assembly. In terms of cable composition, steel is by far the most commonly used cable material due to its strength, but stainless steel and galvanized steel also provide excellent corrosion and abrasion resistance for particularly harsh environments. End fittings and terminals are also available to create cables with more specialized uses. Cable assemblies can be fitted with knobs, stops, threaded studs, loops, sleeves, thimbles, and many other terminals to alter functionality. Of course, greater customization, as well as larger and stronger cables, will increase the prices of these cables, so it is also important to determine which features are truly essential for your applications to stay within your budget. Wire Rope Cable Assemblies A wire rope cable assembly is a metallic rope consisting of bundles of twisted, spiraled, or bonded wires.